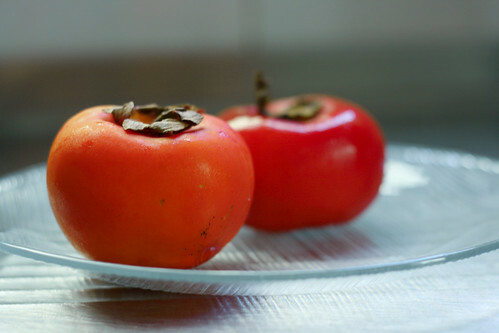 The caqui rama forte isn't a tomato, but it could play one on TV. 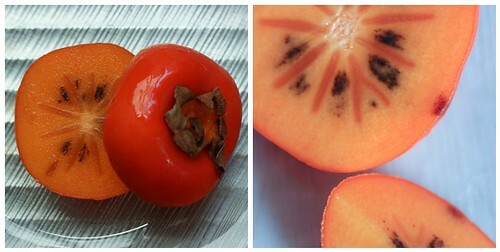 You probably know it better as a persimmon, yet another fruit name I totally adore. One of our persimmons was orange and the other one red. I know I've seen (and eaten) persimmons in California, but I don't remember them looking like primitive tic-tac-toe boards inside! The first bite was sweet and juicy and really delicious, but a few minutes later both of us noticed the same chalkiness we experienced way back when with our inaugural FotD, the cajú. Not quite as chalky, but neither of us went back for seconds.